Mt Buller made mountain bike history yesterday, with the unveiling of the Australian Alpine Epic, the resort’s newest and most spectacular trail. The Australian Alpine Epic trail was declared open with an official launch ceremony to recognise the numerous stakeholders that have combined to create the Southern Hemisphere’s first and only International Mountain Bicycling Association (IMBA) Epic trail. Part of the Epic Festival weekend of events, the trail was officially opened by John Huber, CEO of Mt Buller Mt Stirling Resort Management, and Cindy McLeish MP, Member for Eildon. After the official proceedings were complete and the ribbon cut, the team from World Trail, who were responsible for the construction of the trail, were the first to set off on the most epic of mountain bike adventures in the country. Speaking at the launch, CEO of Mt Buller Mt Stirling Resort Management, John Huber, said the Australian Alpine Epic trail has been a team effort over a number of years. “The Epic trail has been a huge project with a clear goal – to create world-class trail that offers an iconic, diverse and high-quality back-country ride experience and becomes the top of the bucket list of any MTB rider. This project, which has been six years in the making, has only been possible through the support and teamwork of a number of organisations and both state and local government. Visitors to Mt Buller this weekend have enjoyed a film festival, the official launch celebrations, an Epic Pump Track Challenge and more. Around 300 visitors travelled from across the country to take part in one of the biggest weekends on the mountain bike calendar, many of whom also attended the inaugural Australian Mountain Bike Summit on the days preceding the launch, and enjoyed keynote speakers from Australia and the USA. 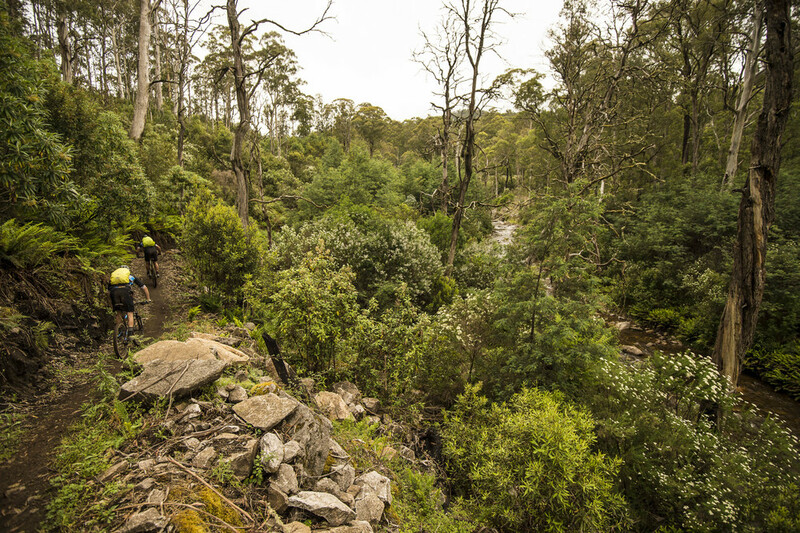 The Australian Alpine Epic is the jewel in the crown of Mt Buller’s staged mountain bike trail development plan, which has seen some the country’s best and most innovative trails constructed by Australia’s leading trail builders, World Trail. The trail is a 40km long-distance, cross-country descending trail that winds through some of the most spectacular terrain and scenery in the Australian Alps. Starting at Mt Buller, the trail takes riders through the Mt Buller and Mt Stirling Resorts (managed by the Mt Buller Mt Stirling Resort Management), Mansfield State Forest (managed by the Department of Sustainability and Environment), and the Mt Russell Education Area (managed by Parks Victoria). The project has been a partnership between the Australian Alps National Landscape Committee Inc, Mt Buller Mt Stirling Resort Management and the Australian Government through the T-QUAL Strategic Tourism Investment Grants program, and has received state and federal funding to the tune of half a million dollars. The Australian Alpine Epic is part of Mt Buller’s internationally-recognised bike park, which has become Australia’s premier mountain bike destination thanks to a staged development plan that has been almost a decade in the making. The resort’s cross-country trails are open from December through to April, with a variety of trails available for all levels, as well as shuttle services, bike-friendly accommodation, bike hire, sales and service and more available in the mountain village. For further information about biking at Buller, visit bike.mtbuller.com.au.